BLU Products, the market leader in unlocked devices in the United States, has announced product launch and availability in new global markets for the BLU Win Series 4G LTE Windows Phone devices. In Europe both BLU Win Series 4G LTE devices will be available online exclusively through Amazon in France, Germany, Italy, Spain, and the UK. In India the BLU Win Series 4G LTE devices will be available online through the Microsoft Brand Store, both on Amazon.in and Snapdeal.com. This dynamic duo will be unlocked with Dual Sim functionality for use on any compatible network in the region with blazingly fast 4G LTE data speeds and will be available for Windows 10 upgrade. "Taking a cue from our explosive growth in the mobile industry, we take great pride in continuing to provide flexibility and affordability for consumers around the world, to be able to choose the perfect smartphone that suits their needs, available in several colors to reflect one's personality. We are really excited to be complementing the great performance of Windows devices by developing aspirational products that we truly believe will delight our customers," said Samuel Ohev-Zion, CEO of BLU Products. 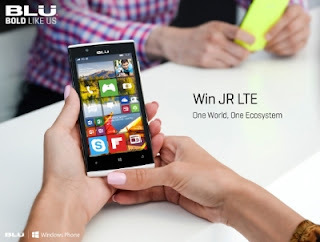 The BLU Win JR LTE and Win HD LTE are built to please users with bright screens, great cameras, and super-fast LTE processing, powered by a 64-Bit Qualcomm Snapdragon 410 processor. These two devices come in a number of vibrant, trendsetting color options, with BLU continuing to push the boundaries to bring the best quality, eye-catching designs with exceptional pricing to unlocked smartphone fans in Europe and India. "It's great to see BLU bringing new LTE Windows Phones to market," said Peter Han, Vice President of Worldwide Marketing, OEM Division, Microsoft Corp. "These new premium devices will further diversify BLU's offerings, helping bring the Windows Phone experience to more customers in Europe." Jason Lim, Sr. Director of Online Stores, APAC, India and Japan of Microsoft Corp said, "I congratulate BLU on the launch of their first Windows Phones today. The Win JR LTE and Win HD LTE. Our deep engagement with OEMs is one of the engines of growth for Windows Phone and we are proud of our partnership with BLU. With this, Windows Phone is now available to a whole new group of consumers in India, who are looking for innovation and value." Coming to both Win JR LTE and Win HD LTE, Windows 10 is the world's easiest operating system, designed to fit your lifestyle. This will give the user an ecosystem that integrates many mediums from their office, home and into the palm of their hand. With Windows 10 the experience is even more seamless and personalized as ever as the familiarity from handheld to the PC domain makes it for a user-friendly experience. 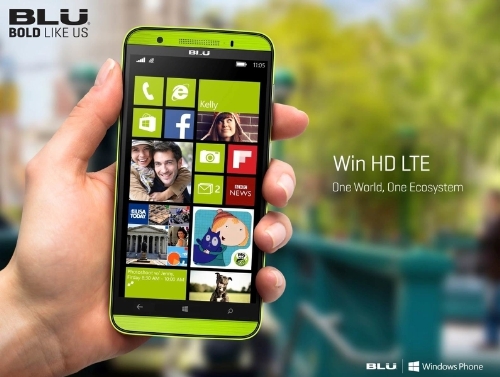 0 comments on "BLU 4G LTE Windows Phones launched in Europe and India Markets"